With proper care and maintenance, your garage door can last for decades. Unfortunately, the same can’t be said for garage door springs. That’s why Ponderosa Garage Door & Repair recommends purchasing springs with a lifetime warranty. Lifetime warranty springs are more durable than standard springs, and they save homeowners the expense of having to buy replacement torsion springs whenever a spring system fails. Torsion springs are intuitively designed to help stabilize your garage door. They also do the heavy lifting when garage doors open and prevent them from closing by accident. If you’re unsure how long your garage door springs will last and are considering replacing them, take a look below for general garage spring maintenance and lifetime warranty information. The operational lifetime of garage door springs depends on a number of variables, including the size of the spring wire itself, the diameter inside the spring, the length of the spring, and how frequently the garage door is raised and lowered (“cycles”). Ponderosa Garage Doors & Repair recommends that all garage door components, including torsion springs, be inspected at least once a year. 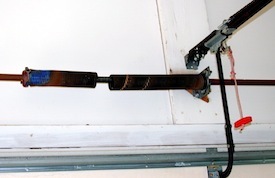 Garage doors can weigh upwards of 400 pounds, so torsion springs are under enormous pressure. A torsion spring mishap can result in serious injury or even death. If you suspect that any of your garage door components are in need of repair, please consult a professional. Just how long your garage door springs last depends on a number of variables, among them the size of the spring wire, the diameter inside the spring, the length of the spring and how frequently the garage door is raised and lowered. Typically, a new, “double spring” system will run you somewhere between $200 and $275 depending on wire size, and many of these springs last between six and 10 years, or about 10,000 cycles. Lifetime warranty springs, however, can last forever. A quick note: If your garage door relies on more than one spring in order to operate, Ponderosa Garage Doors & Repairs suggests replacing both springs with lifetime warranty springs. Garage door springs wear out — so, rather than replacing them piecemeal, it’s better to replace them all at once. Save yourself time, money and frustration! Eventually pay for themselves by reducing your maintenance expenditures. Are ideal for anyone who raises and lowers a garage door multiple times in one day. Reduce the stress and costs associated with having to call a professional to replace broken springs. Minimize the dangers associated with broken springs, such as having the garage door fall. Minimize the chance you’ll be stuck inside or outside the garage. Serve as a selling point if you decide to put your house on the market. There are a variety of torsion springs available. Standard springs are the most common residential garage door springs. EZ-Set torsion springs are similar to standard springs and are attached parallel to the garage door tracks. Steel rolling door torsion springs are common in heavy steel commercial doors. If you plan to be in your home for the foreseeable future, consider investing in lifelong torsion springs. 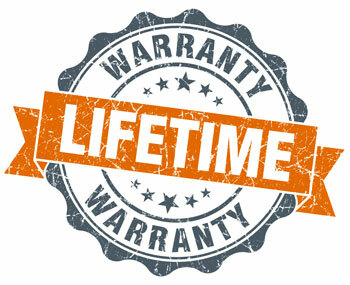 Ponderosa Garage Doors & Repair is proud to offer springs with lifetime warranties. For more about the benefits of lifetime warranty springs or to speak with an expert about this or any other garage door topic, contact Ponderosa Garage Doors & Repair today.